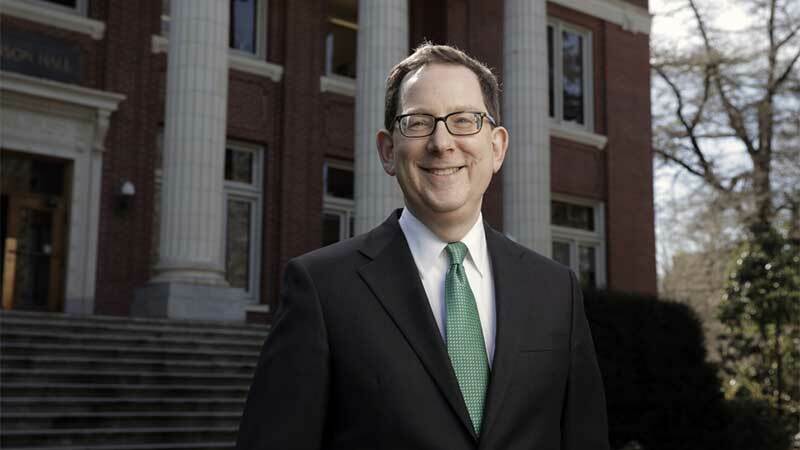 In an op-ed written for The Oregonian, UO President Michael H. Schill and Oregon Senate President Peter Courtney call on Congress to defend the young immigrants formerly protected under the Deferred Action for Childhood Arrivals program. They also declare their support of Oregon Senate Bill 1563. DACA granted deferred action from deportation and eligibility for work permits to undocumented immigrants who entered the U.S. as minors. The Trump administration rescinded the program in September. Since then, the fate of its participants, nicknamed “Dreamers,” has been an issue of contention. Schill and Courtney support Senate Bill 1563. The bill allows undocumented students to be eligible for scholarships and in-state tuition rates without applying for the DACA program. Schill began his tenure at the UO in July 2015. The author or co-author of three books and 40 scholarly articles, his work centers around property, real estate and housing law and policy.